The D.C. area has been described by speedskating experts as "the hotbed of talent in the United States" — and it will be for years to come. WASHINGTON — Over the years, the D.C. area has become home for many Olympic athletes in water sports such as swimming and canoeing. This apparently applies to frozen water, too. 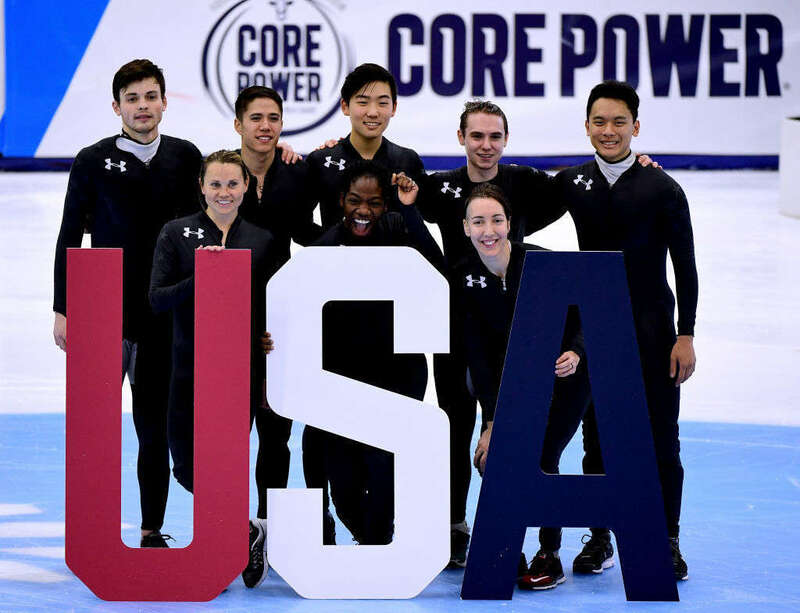 Two of the eight spots on the Olympic short-track speedskating team belong to locals: Thomas Hong (Laurel, Maryland) and Maame Biney (Reston, Virginia) have revealed the so-called “DMV” as USA’s speedskating capital as well. “The D.C. area is the hotbed of talent in the United States,” said Nathaniel Mills, a three-time former Olympian and captain of the 1998 U.S. Olympic speedskating team. Mills added that the D.C. area not only produced one quarter of the short-track speedskating team, but more than half of the 32 racers in the Olympic trials are from this area. Mills is a big reason for this phenomenon. In 2002, he founded DC-ICE, an inner-city program in Fort Dupont designed to introduce young children to skating. This program — which he still runs as head coach — has also served as the foundation for a successful speedskating career. Biney came through Mills’ “Learn to Speedskate” program in Fort Dupont before honing her skills with Dominion Speedskating Club in Reston. It was there she grew and developed into the first African-American woman to make the U.S. speedskating team. The kids’ intensity must be matched by the parents’. Jane Lute, whose daughter Kamryn has skated at Dominion with Biney since 2010, said it’s a full family commitment for these kids to pursue their dreams. 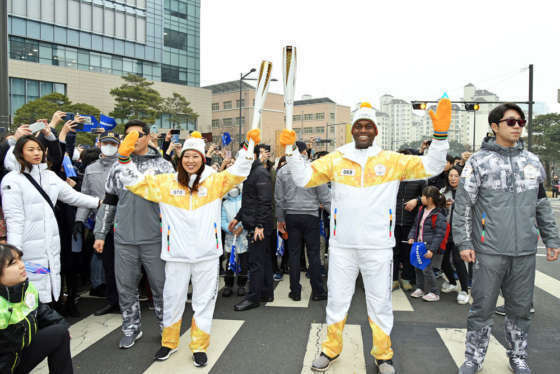 WTOP sales manager Suann Lee had the opportunity to participate in the 2018 Winter Olympics torch relay as one of more than 7,500 torch bearers. See photos and read about her once in a lifetime experience. Hong grew up in Howard County and went to Atholton High School, but he was born in South Korea — a region that has everything to do with the speedskating boom around the District. Everyone interviewed for this story unanimously pointed to coaching as the reason for the high concentration of great speedskaters in the region. “Fifteen years ago, there weren’t that many skaters, but that number has grown exponentially because of the number of great coaches coming in and out of this area,” said Simon Cho, a former Olympian and coach at Rockville-based Potomac Speedskating Club, where Hong got his training. Mills came to D.C. and started his program within that timeline — but it also coincides with a period when more and more Korean speedskaters were coming to the D.C. area. This was critical to the success of local speedskating. Mills pointed to 6-10 expert Korean speedskaters that have come here to coach across three or four clubs. The 20-year-old Hong is the second-youngest member of the short track team behind Biney, who will turn 18 shortly before the Winter Games begin. The reasons local speedskating clubs seek these coaches are obvious — and the reasons the coaches want to be in D.C. are, too. In the 2010 U.S. Census, more than 41,000 ethnic Koreans lived in Fairfax County, Virginia, which accounted for 3.8 percent of the county’s population and over 60 percent of Virginia’s ethnic Koreans. Much like Marylanders Katie Ledecky and Michael Phelps in swimming, these local speedskaters expect to make names for themselves in the Winter Games. While individual medals are far more subjective — as Mills said, “You never know in speedskating … if you feel good on that one day every four years, you’ve got a shot at the podium,” — most agree that the relay team has a great shot at gold. 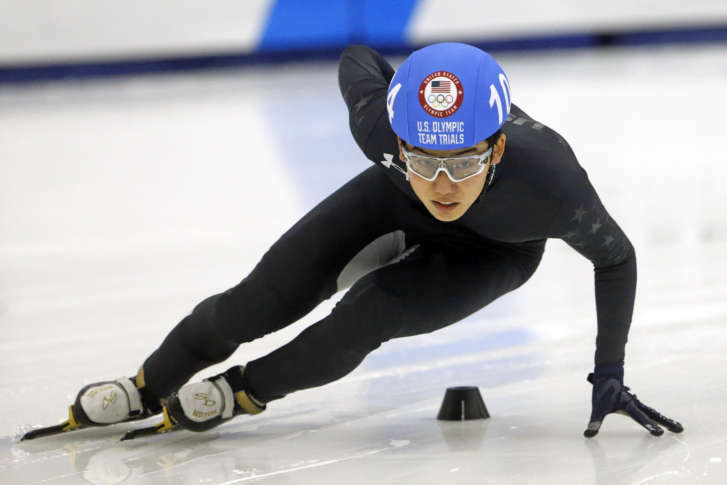 “Individually, in the 500 meters, I know I’m a little bit of a long shot,” Hong said, adding that he never finished better than 10th in the 2017 World Cup but did get silver in a previous junior world championship. Mills has worked with five-time Olympian Shani Davis, the headliner for the long-track team — and a big reason why Mills thinks both teams can medal. Though Davis hails from Chicago, his ties to the D.C. area are rich. His status as the first African-American to make the U.S. speedskating team sparked inner-city interest in the sport, and Davis himself helped Mills get DC-ICE off the ground in its first year. With Biney now serving as the local face of black speedskaters, this could lead to even more interest in the future. “Obviously, Thomas and Maame are carrying the banner this year, but there’s a group of younger skaters that have their eyes on 2022,” Mills said.